We woke up again at 7am and went through our normal morning routine of getting the bear bag down, having our breakfast shake and packing up for the day. We were both out of water and stopped at the first available creek to fill up. During our AT trip we had used the MSR Hyperflow and really liked it. This time we had decided to try the Sawyer filter, which is much lighter and simpler. However, it was about this point at the creek on Day 5 that we realized that the Sawyer filter is not right for us. We each carry a 2-3L bladder of water at all times and then an additional 20oz bottle for energy drinks. With the Sawyer filter this takes about 30-45 minutes to complete for the two of us- not convenient! If you are someone on your own you can just use it as a personal squeeze botttle, which makes it a cinch, but we are going back to the Hyperflow. After our extended water break, we hiked through the Brockway Summit Trailhead and then started up a 2,000 foot climb up Mount Baldy, avoiding many mountain bikers on the way. 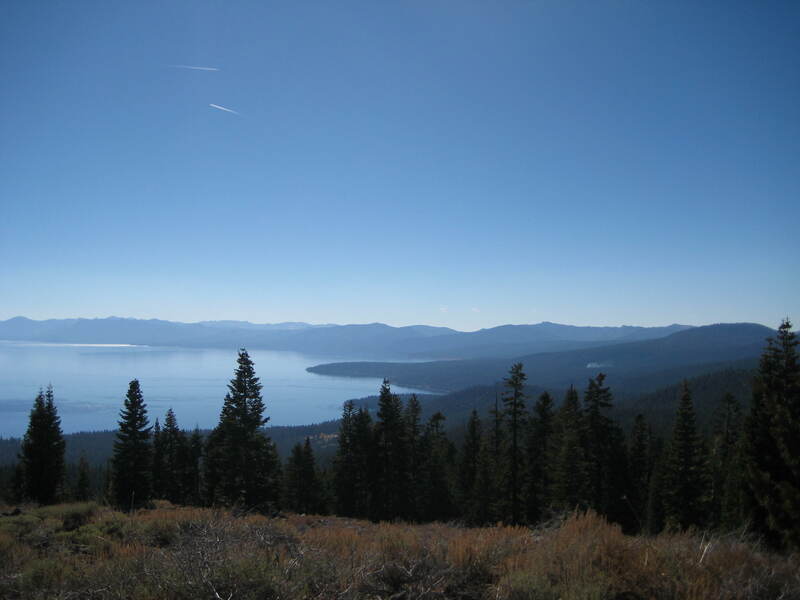 After enjoying the views on top of Mount Baldy we entered Nevada and the Mount Rose Wilderness. This was the first part of the trail that felt like we were truly hiking a “rim”. 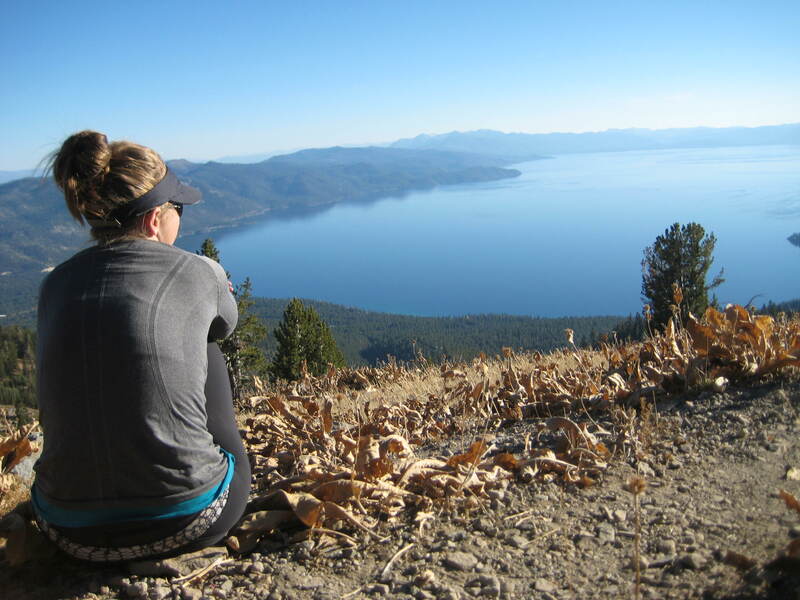 We had gorgeous continuous view of Lake Tahoe and stopped several times for pictures and viewing breaks. We then passed Grey Lake Trail and continued on to a campsite at about 9,500 feet. I was definitely feeling the effects of the altitude and got a little loopy as we settled into camp for the night. After downing another Backpacker Pantry special we sacked out to get ready for an even longer next day.